ABC Nanny Source is a leading Fairfax County, VA Nanny Agency and will be there every step of the way! Ingrid enjoys working with a Fairfax County VA Nanny Agency because she loves spending time with children! 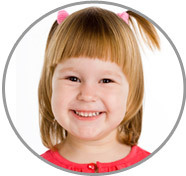 "What I love the most about being with a Fairfax County, VA Nanny Agency is being around children. My strengths are that I am trustworthy, reliable, honest, strong, and confident with a positive outlook on life. If I was asked to describe in one sentence the reason I have chosen to be in the nanny profession over any other it would have to be because I love children. It is a joy to be in their presence and I can be myself around them, and I love that! I have been serving in some form of childcare experience for over 14 years and can honestly say I love what I do! I feel the children are open and trusting and love unconditionally. My goal as a nanny is to support the parents and make sure all children are safe, happy, and comfortable and all their needs are met, and at the end of the day everyone is happy. I am willing to do housekeeping that includes cleaning up after the children. If asked to describe the perfect family seeking a nanny like me i would hope they would be open!" "Ingrid has a magic touch with children! She worked for us from the moment our daughter was born. She was with our family through many developmental milestones in Lake’s life. Ingrid is loyal, honest, nurturing, professional, and qualified for any Fairfax County VA Nanny Agency position. I highly recommend her to you!" "Ingrid absolutely fulfilled all job requirements. We consider her a member of our family! Ingrid was fully involved with the children’s upbringing. She suggested activities for the children that I did not even know existed! She was loyal and dedicated to our family and children. I am very thankful for the stability and nurturing environment she created in our home." "Ingrid is a genuine individual who is accommodating and open minded. During the years of our friendship, I have valued Ingrid’s commitment as she is a woman of integrity and candid. She has been wonderful as a Fairfax County, VA Nanny Agency caretaker. She is dedicated and determined with all of her intended goals and objectives in life. I especially admire how she is open for personal growth. This is demonstrated with her ability to receive feedback and learn at a quick pace." "Ingrid was a loyal and active part of our family for 10 years. She is a generous and respected individual who I am happy to recommend for any position. My children have grown now, but she is definitely who I thank for how well-rounded they have become. Ingrid would constantly go above and beyond anything we asked of her. She truly went out of her way to make our home a happy one. When I would come home from work, my girls would be done their homework and ready for dinner, with plenty of stories on how Ingrid helped them in different ways. I never once worried about my children's safety and wellbeing in her care. All in all I recommend Ingrid completely."